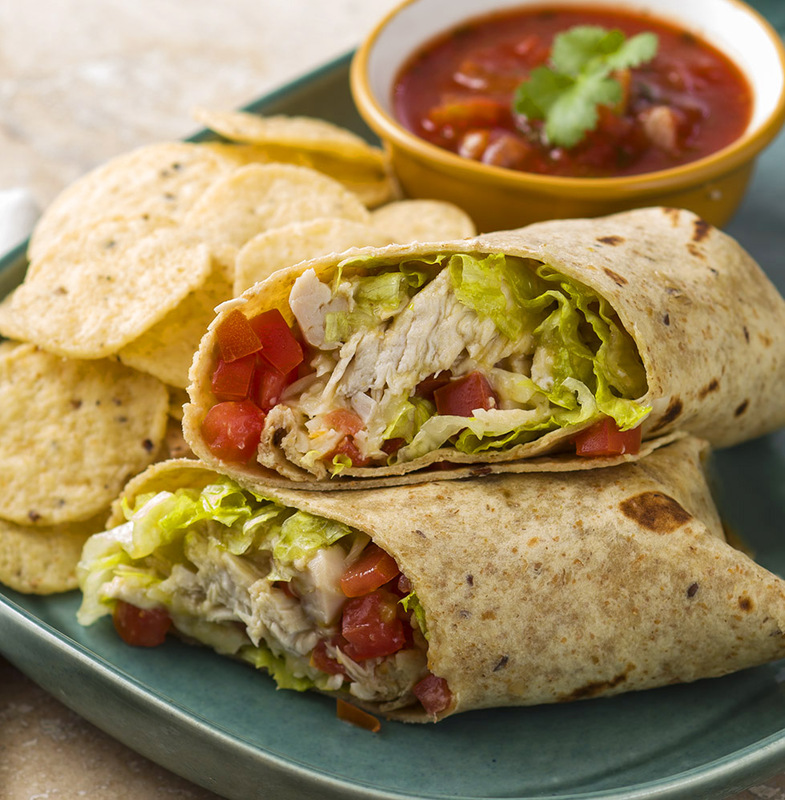 A delicious, simple and tasty Mexican dish, this Chicken Burritos makes for an awesome weekday lunch dish. 1. In a large bowl, combine the corn, black beans, tomatoes, green chillies, coriander leaves and jalapenos. 2. Add the cooked chicken and mix well. 3. Add the red chilli flakes, garam masala powder, black pepper powder, salt and toss gently. 4. Warm the tortillas and place them on a flat surface. 5. 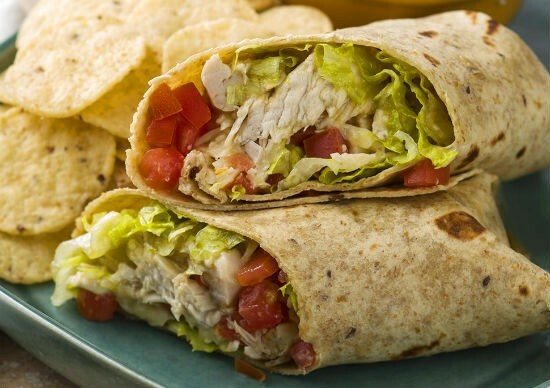 Divide the chicken mixture equally among the 4 tortillas. 6. Sprinkle some cheese on top. 7. If desired, add some sour cream, lettuce and chopped tomatoes. 8. Fold from the sides and roll tightly. 9. Heat a nonstick pan over medium flame. 10. Place the burritos on the pan and warm them up for 3 to 5 minutes, turning gently once or twice. Tip: Steps #9 and #10 are optional. You can serve the burritos without warming them up. 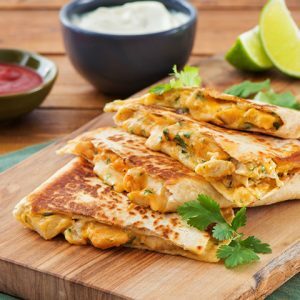 Feel free to comment or share your thoughts on this Chicken Burritos Recipe from Awesome Cuisine.